These is a short article where I hope I´ll be able to clarify some points about the Divi Children plugin, the Divi Children Engine and your Divi child themes. I´ve noticed there´s some confusion among Divi users regarding not only the differences between the plugin and the Divi Children Engine, but even between the Divi Children plugin and the child themes it creates. You may find this title quite stupid, but it does make a lot of sense for the purpose of this post. The same thing has been reported through a comment on this blog. Of course, this is not an issue. The problem is that the user thought that Divi Children was a child theme that could be downloaded and installed as such, i.e., through the Themes Installer. That´s why I must insist on the Divi Children plugin being a plugin, even if it seems too obvious an assertion. Which means that Divi Children should be installed through the Plugins Installer. Otherwise, if you try to install it as a theme, you´d get that error that was reported as a supposed issue of the plugin. I could have developed a ready-to-download Divi child theme instead of a Divi child theme creation plugin, but I decided on the plugin for a number of reasons. The first one is that this way you can choose the name of your child theme before it is created, along with other theme information you can fill on the child theme creation form without having to edit your stylesheet. Also, the Divi Children plugin lets you create as many child themes of Divi as you like, without having to re-install anything else after you´ve installed the plugin. Having several child themes for the same site allows you for example to test different tweaks for your pages and then choose your final configuration, leaving only one of the child themes you´ve been playing with. That´s right. Once you´ve created your Divi child theme by means of the Divi Children plugin, you may not need the plugin anymore. Everything your child theme needs for working has already been installed in it by the plugin, so your child theme will not need any code from the plugin to work. Providing you don´t want to create any other child theme for your site you could just deactivate Divi Children and even delete it, and you won´t notice any difference in the way your child theme behaves. It will still have all the customizing capabilities provided by the Divi Children Engine, for instance. In fact, if you´ve created your child theme with the latest version of Divi Children and you´re using the latest version of the Divi parent theme, the only reason I can think of to make use the plugin again (other than for creating yet another child theme) is for changing your screenshot. Otherwise you can deactivate and delete Divi Children, and maybe that´s even a good way to go because if you need the plugin later it´ll be better to install the newest available version of Divi Children. We will cover in a moment what you´d need the plugin again for, once you have a child theme you´re satisfied with. If your Divi child theme was created or updated by Divi Children 2.0 (or a newer version), the Divi Children Engine is now part of your child theme. Divi Children Engine is a pack of php files specifically developed to extend the customizing capabilities of Divi by means of your child theme. It allows you to get a unique look and feel for your Divi site without writing a single line of code, and to watch it change in real time as you customize it. Divi Children Engine is automatically installed in every new child theme created by the Divi Children plugin. However, it does not need the plugin to work, it works as a stand-alone theme extender. Custom functions (footer credits generator, post meta data generator, etc). Custom Codes generator, for Divi Children specific custom CSS selectors. Magic Codes manager, for generating and managing special codes that modify the behavior of Divi modules. So, since Divi Children Engine is part of your child theme, and your child theme does not need the Divi Children plugin to work, Divi Children Engine won´t need the plugin to work either. There are some plugins out there that can be used to extend the customizing options of a particular WordPress theme, like Fourteen Extended for instance. And that is a good approach, using a plugin to extend a theme. But I already had a system to automate the creation of child themes of Divi: the Divi Children plugin. So it seemed a good idea to make that customizing extension capability available to child themes individually, rather than to the parent theme in general. Why? Well, there are also a number of reasons that made me prefer this approach. One of them is that you wouldn´t need two different plugins, one for creating your Divi child theme and one for tweaking your theme. Another reason is that once you´ve created your child theme with the Divi Children Engine included in it you won´t need any plugin at all for those tweaking options to work. As we´ve seen, you can even forget about the Divi Children plugin. But an even more powerful reason might be this: With the Divi Children Engine approach you can have different tweaks for different child themes. Updating your child theme to include the latest version of the Divi Children Engine. Updating your child theme after a new Divi update. Changing your screenshot by means of the “Change Screenshot” plugin option. Except for the last case (changing your screenshot), the best you could do is to download the latest version of the plugin from the Divi Children plugin page, to make sure you are up to date in order to get the latest features. I hope this post served to shed some light on the way the Divi Children plugin and the Divi Children Engine relate to each other and to your Divi child themes. Should you still have any doubts about this topic, please feel free to ask through the comments. I explored their divi-children-2.0.0 plugin and really enjoyed the work you did! An incredible time saver in customizing child themes for our great father Divi theme. I was thrilled to imagine a similar but facing the other themes Elegant Themes plugin to power divi-children-2.0.0. Any planning in this regard? I´m afraid I´m not getting your question right. Do you mean developing other plugins like Divi Children for other themes from Elegant Themes? Yes Luis, even this was my question! Sorry some inconvenience and possible errors of agreement, I use Google translator, and not always my Portuguese Brazil is well translated. Because its flexibility, Divi has become the most successful theme from Elegant Themes ever. By the time Divi 2.0 was released, Nick Roach said that there where already more websites running on Divi than on the rest of the themes by ET put together (and this was three months ago!). Holy cow – This looks awesome! I have a Divi child theme activated that I created with a different plugin. Should I just keep my existing child theme and use only the Divi Children Engine – and if so, how would I go about installing the engine without the plugin? Or, should I replace my current child theme with one created by the Divi Children plugin? Sorry, I’m a little confused. At the end of the day I just want to use a child theme and be able to make the kind of CSS edits you outline without coding – in whatever way is easiest to accomplish this. I guess if you already have a Divi child theme you already did some tweaking, so the best way to go is to keep using your existing child theme. Now the good news is that you can update your child theme to get the Divi Children Engine installed in it and enjoy all its customizing features. To do so you have to download, install and activate the Divi Children plugin in your site. Then go to Appearance>Divi Children. Forget about the default tab (Create New Divi Child Theme) and open the Install or Update Divi Children Engine tab instead. Select your child theme and the plugin will check what files need to be modified. You will not loose your previous work on your child theme, the plugin will just install Divi Children Engine in a separate folder and add some lines of code to your existing files to make them compatible with the Divi Children Engine and to track versions for future updates. Backup copies of your child theme files will be created just in case, to make you feel comfortable through the process. After your child theme has been updated, you can delete the Divi Children plugin if you want, as you´ve read on the post. Thanks for your thorough reply — much appreciated as always. As soon as my site is launched and social media accounts are in order (almost there now!) I’ll be writing about and sharing Divi Children – and your 5-star responsiveness. when i activated the child theme created with the plugin i get a whitescreen, even in the dashboard. Is a multisite. Everithing updated. Could not test the incompatibilitis with plugin… yet. may be a multisite incompatibility? I´m sorry to hear that you´re problems. The child theme should be compatible with multisite, though. Never knew about a white screen issue before, are you still getting it? Did you have the chance to look for any plugin incompatibility? you are right, there is no issue with multisite, created a blan multisite and seems to work. I´m glad it worked, at least on that new multisite installation. Please keep me informed so we can address that issue for other users as well. I’ve also been looking around on other sites for inspiration, and I was wondering if the social icons and the ‘get blog updates / email” is something that can be made in Divi or if it’s all codes? Thank you again for Children. I learn new stuff everyday! Right at this moment I was checking your site and writing a reply to your previous comment! I´m glad you found your way. Do you still need help with the blog subscription form and the social icons? Yeah, I’m having some problem with social icons and blog subscription. I want them to look modern, as the site I just submitted here. Also when I activate social icons in footer, it only shows up RSS, which keeps me confused. You can see how things are centered in the middle of the screen with nice space. At the moment I’ve chosen to use blog in ‘grid’ mode, because if I put my blog on a 1/1 page — it’s too wide or if I put it on a 1/4 2/4 1/4 page it’s way to small. Do you know how to control this? The font remain the same size, unfortunately. Do you have any idea how to fix this? My questions may not be related to Children, but more towards Divi or WordPress, and I’m sorry if so. If it’s possible, I would like to donate money for the effort you are doing! By the way, when you talk about a bigger font size, do you mean for the whole site, blog posts and everything? Your posts are that wide because you are not using a sidebar but a full width layout for your posts. You can change that when you´re editing posts, under ET Settings. You can change the max-width value to any amount of pixels you want, I just used 800px as an example. About the margins, you can also use any amount of pixels for the vertical margin (top and bottom) instead of the zero value, but you´ll need the “auto” value for horizontal margins if you want your post to appear centered on your page. If you´d like it left-aligned you can just skip the margin: 0 auto; line. Thank you! You are my hero atm 🙂 When you is a person like me, without any knowledge of codes, this is brilliant help 🙂 800 wide was also just perfect, didn’t need to adjust it! You´re welcome. Glad to be of help. I hope you can help me. I have a Divi theme installed and am almost finished with my site. Unfortunately I need just one thing, to have comments on the bottom of my page. I cannot get it to show comments, and I have tried everything. I can se here that you have comments on your Divi site. I hope you can help me? This is not a page but a post, so no wonder I have comments here. But your comment came in almost the right time: I just got it while I´m engaged in writing a tutorial titled “How to allow comments on pages with Divi“. It´s something many of you have requested, so a fix for that will be included in the next update of the Divi Children plugin. As I don´t want to make you wait until the next update of the plugin, I´ve decided to write a tutorial to get that working in the meanwhile. However, I think I won´t be able to finish that post today. So if you´re trying to allow comments on pages that were created with the Page Builder, you´ll probably have to wait until tomorrow. Otherwise, if the pages you want comments on don´t use the Divi Page Builder, just let me know. You’re a great guy, Luis. Loving this plugin, I thought Divi was perfect right out of the box, I was blown away as I started reading your tutorial about this plugin. Then when I started playing with it myself, it worked perfectly, very intuitive (just like you said it would.) Keep up the great work. Thank you for developing this plugin. I’m very excited to use it… only so far I’m encountering strange issues. I installed, activated and configured it on my website then my login page went to a white screen. Everything came back after deleting the child theme, except for some reason my plugin folder renamed itself to plugins.old. I renamed back to plugins which fixed that issue. Everything works again except the videos from my posts no longer show up on the front page even though they are still on each post page. I´m sorry to hear about your troubles. It looks like you had an issue coming from something else but that was just coincidental with the plugin installation, there´s no way for this plugin to rename your plugin folder. When you say you “installed, activated and configured” the plugin, what do you mean by “configured“? Do you mean you created a child theme? Also, when you say “Everything works again“, do you mean you were able to create a new child theme and it´s working alright? By configured I meant I selected my options on the settings page and created the child theme. I do not have a child theme installed right now because I’m unable to get it to stop being a white screen on my admin page when I do. The plugin itself is reinstalled without a child theme because I’d really like to use it but I needed to use cpanel to make any changes each time I created one so I could get back into my admin page. Do you mean you get a white screen as soon as you hit the Create Divi Child Theme button? Actually, it happens when I refresh or try to go to do another task on my admin page. The site itself continues to show up as usual. Wonderful stuff you guys have going here! I´m not able to reproduce your issue (or maybe I don´t get to understand it) applying the boxed layout to both full width pages and pages with sidebar. What do you mean when you say “between the main section and sidebar section” if you´re not using a sidebar? It was a faint line, probably a shadow, where the edge between the side bar and main column would be. Since then, I’ve made several CSS changes and it disappeared; I don’t know how. But thanks for helping us . Are tere any plans to change this in the next release of the Child builder (which is a great plugin!)? You are right, but it´s not so important. There is nothing wrong with @import except a little drawback in performance (page load time) because by importing CSS the browser doesn´t get the complete CSS in parallel but has to load the main stylesheet first and then the one(s) being called by means of importing rules. That´s is why it´s not recommended to add several additional stylesheets to your main one by using @import. For child themes, however, using @import is a common practice (and that´s why you´ll see it everywhere). For one thing, the stylesheet for a child theme usually contains very few rules compared to that of a stand-alone or parent theme. They are usually very short, so the performance issue has just a tiny effect (and you´re using @import just once). Also, the @import rule allows for very simple child themes: you don´t even need a functions.php file to make them work. I could use wp_enqueue_style() instead of @import for new child themes created by Divi Children because a functions.php file is used anyway (actually any child theme created by Divi Children 2.0 is already making use of wp_enqueue_style() to include CSS for the Custom Selectors and Magic Codes collapsible boxes). But it might lead to some compatibility problems when updating child themes to get the latest version of the Divi Children Engine, for instance. Like I said, it´s nothing you should worry much about. I am using Divi and the Divi Children plugin. I made quite a few changes to the child style.css , however it often isn’t overwriting the Divi style.css. I’m not using any cache plugins, I have tried on multiple computers with no luck. Some styles are working and some are not. I have even put “!important” with no change. Do I have something set up incorrectly? Could you provide a couple of examples of CSS tweaks that are not working for you? I styled the submit button on the contact form and it isn’t showing. I tried multiple ways and nothing changes. It’s like the stylesheet isn’t being read properly. I agree that should work, but I still am not seeing any changes are you? It does work in my browser (Chrome) when I add that code via the code inspector. Thank you for providing an incredible plugin as well as the rest of the Divi theme information that you offer! I was struggling with figuring out how to create a child theme along with making some of the changes that I wanted. The plugin you developed really helped me. Tank you for your kind words. Make sure you subscribe to the Blog to stay tuned for the next plugin update. New nice features coming with Divi Children 2.1! im having problems with changing my main footer settings. earlier in the morning, i was able to change the text colors but eventually, i couldn’t change the footer text colors anymore through WP customization tab. Any idea on how i cant fix this? Sorry I was away for the weekend. Do you still have that problem? Are you using Divi Children? I am usiing divi child theme. whenever i made custom css and add into the divi child theme my who site looks weird. one color ,one column, menu links comes into list of page(no more menu)… it looks like divi theme not supporting child theme..
my style css address is absolutely correct. I wonder whether divi theme allow custom css only through it cpanel..Is it true???? No, Nazim, that´s not true. Actually, this site has custom css on its child theme style.css, I´m not even using the Divi epanel at all. There must be something wrong in your site, but I can´t really tell you with the information I have. This Divi Child is good stuff, Thank! I’m having trouble with the header image being very small below 980px width. It takes a real jump below this width, and looks out of pro[portion. It must be some of the padding and/or margins around it, but I can’t figure out what. Can you give me a clue? Appreciate it. Do you mean you´re getting empty spaces around your image with devices having screen width narrower than 980px? Could you provide a screenshot of your issue? Please send me an email through our contact page. 1st of all Merry X-mas and a happy 2015! I am currently revamping my site (test site) and want to add custom text to the divi secondary header (phone/mail/social icons.) I would like to place the custom text between the mail link and social icons. I got a bit lost with the Child Theme template because I can only see the following templates: divi_children_engine, footer.php, functions.php, styles.css. While I want to adjust the secondary header in the header.php of my child theme. Is there a way to add my custom text or am I missing a header.php in my child theme? Thanks, happy Christmas and my best wishes for the new year! Your child theme doesn´t have a header.php simply because there are no modifications to that template as of Divi Children 2.0, but that doesn´t mean you can´t add them yourself. All you need to do is just make a copy of the original Divi header.php file, put that copied file inside your child theme folder, and then modify it as you like. But my site will miss header.php updates during DIVI updates than, correct? Right. To be more precise, your Divi parent theme´s header.php will be updated, but your child theme will still be using your custom version of it. Thanks Luis for your grreat support! Hi guys, please can you advise where I can find the Divi Children Plugin . 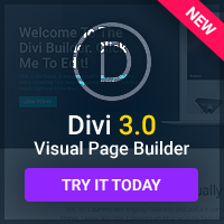 I have downloaded and activate the plugin in my divi 2.1.4 version. It does not work. I´m sorry I´d overlooked your comment during the last few days. The plugin copies the footer.php template from the original Divi parent theme and then, for the copy of the file in the child theme it changes some code to include a custom function. In your case the plugin is not able to find the original Divi footer.php. Why is it happening I couldn´t tell (maybe if I can take a look at your real site I could?) It might be because for some reason you´ve changed the name of that file, or the name (slug) of the Divi parent theme, or for some other reason. Is it still happening? Now what is the next?what should I do? I do not see any folder created when I ftp to server within the theme? I’m concerned that the responsiveness of the site is compromised after installing this plug in. I love the plug in, however losing this functionality cancels out any benefit. Will this be addressed? I always try to keep responsiveness unaffected. However, there must be something I´m missing. Could you please be more specific and let me know what exactly is not working as expected? I´d fix it in the next update. Thank you. This plug-in saved me a lot of time and angst. It was easy peasy to use. I have just installed Divi Children and am trying to create a child theme. Please tell me what the naming convention is. How will I know which theme is which? There isn´t any naming convention needed. 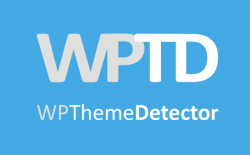 Just name your theme as you wish; the only thing you need to avoid is using the same name of another theme you might have installed in the same site (for instance, don´t call it Divi!). You will know which theme is which because the new theme will be available in the Themes Manager, showing the name you gave it and also a default “Divi Child Theme” screenshot which looks different from the Divi screenshot. I would recommend using a short and distinctive name. You can use your domain as the theme name if you want (“Kidders Crossing” in your case). I´ve seen your question in the Divi Theme Users group on Facebook as well, so I´ll also answer here about the Theme URI: That´s is just any url you may want to include as the theme “home”, and you can leave it blank if you want. If for example you were a developer creating a child theme for a client site, you would fill that field with the url of your professional site. Hi, I’m using your plugin engine to build a new site, and am very grateful for all the child theme shortcuts. One has me stumped however. In the Divi Child Theme I am able to pick and customize an arrow bullet for all my sidebar links (in widgets). These bullets show up fine in the regular sidebar (on a non-Divi Builder page). When I use the sidebar module (as on most of my Divi Builder pages), the bullets do NOT show up and there is no way to find or choose them. I can’t figure out the coding to get these bullets to show up with ALL my sidebars. Any thoughts? Are you still experiencing that issue? Anything you place in the Custom CSS field should work (unless it gets overridden by CSS in the child theme). I´ve just made sure it works, even with the newest Divi update (2.6.1), on the new Divi Theme Options ePanel. Hi Luis, wonderful stuff, you put so much work in, thank you! I need some help though … I am new to all this and my brain has gone into overload. Being a newbite I and went straight in and have made my whole site using the parent divi theme. It is only now, having finished (almost) my site that I find I need a child theme to avoid problems later down the line. So I have read your articles, but have to admit I am in over my head. I have installed your children plugin and activated it. Nothing has changed. Do I need to also download your engined download? or something else? I am worried to do too much until I know for sure what to do next, I do not want to loose what I have already designed on the parent theme whilst switching over to a child theme … thank you in advance for your help! Just installing and activating Divi Children won´t do anything. This plugin is an automated way of creating child themes of Divi. You need to go to Appearance > Divi Children and then enter your information and hit the Create Divi Child Theme button. As I said on this post, once you have your child theme you don´t even need the Divi Children plugin to be active in your site anymore (except for the cases I list on the post), so you can deactivate it or even delete it. Now what will happen to your site when using the child theme depends on how deep your customizations went. If you just customized your site through the various Divi options and customizer settings, you won´t notice any difference when you activate the new child theme (except that you´ll need to reassign your menu, like with any new theme). If you added CSS to the Divi parent stylesheet, you would need to copy that custom CSS and paste on the child theme stylesheet (and then you´ll be safe to update Divi anytime without loosing your custom code), and the same apply if you tweaked any of the parent php files. I would like to change the word “Copyright” in the footer. Is it possible ? What are you exactly using? Divi Children? Engined? It´s not clear enough because of the post you commented to. I am using Divi Children. Save the file with the changes made and you´re all set. I have run into an issue with your DIVI Children Engine plugin. I built a site and installed WPML for a French translation. The translation interface was all messed up and had fields repeated, checkboxes would be unchecked the next time I came back to the translation interface. I would also sometimes lose translations that I had entered. This would happen on all pages on the site. Working with WPML over the last 10 or so days we discovered that if we change the theme back to the parent DIVI theme and away from the child theme created by DIVI Children Engine, all the problems went away. I created a child theme the old fashioned way and the issues I was having went away and the site is now working properly with the translations. Based on this, I would have to say that there is something your customization is doing that is interfering with WPML. You might want to check it out. I can provide you with some screen captures if that helps. I´m sorry to hear about your problems, Zachariah. Could you please send me those screen captures to my email address (luis@)?